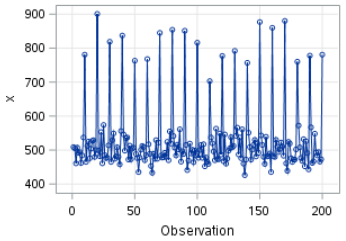 Seasonal differencing can be used to stabilize seasonal spikes in a time series. The EX5 data set contains another set of simulated values. We are going to try a seasonal differencing with seasonality=10. 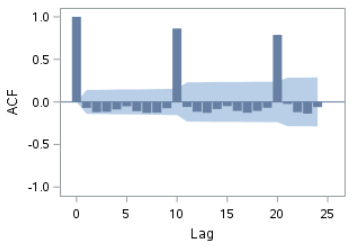 The plot after differencing shows some promising results. 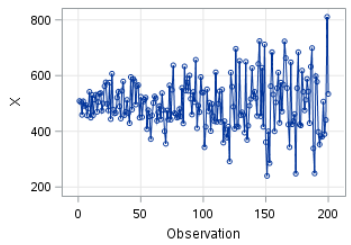 The ACF plot still has spikes at certain lags. However, it is quite an improvement over the ACF plot before differencing. 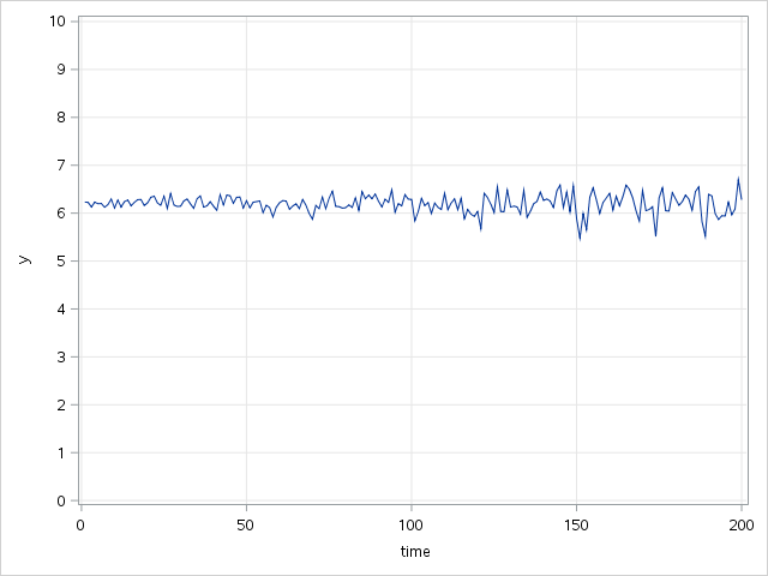 When a time series shows increasing or decreasing variance over time, a transformation might be able to fix the issue. 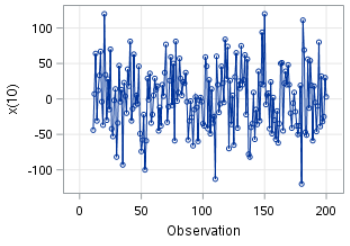 Let's plot the time series. The variance didn't seem to be stabilized. It still shows the same structure as before. 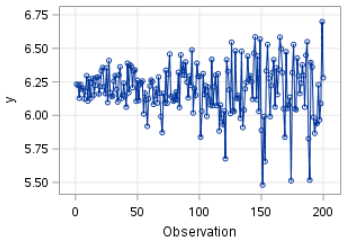 We are going to plot the time series again, but with a wider range. You will see that there is a huge improvement in the variance of the time series. In the next section, we will learn more about the Autoregressive (AR) model. Locate the AIR data set from the SASHelp library. The AIR data set contains airline passenger data for January, 1949 to December, 1960. This is a well-known example used for time series analysis. See Time Series: Forecast and Control by Box, Jenkins and Reinsel (ISBN: 978-0470272848). 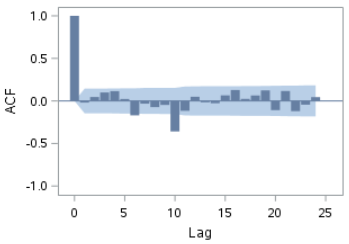 Plot the time series, ACF and PACF of the airline passenger data. 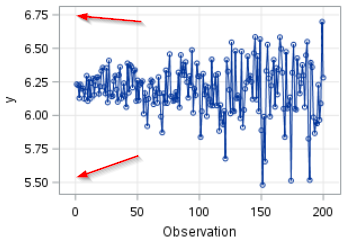 Does the time series data look stationary? If not, use various techniques to transform the series into an approximate stationary series.